Cincinnati ( ) is a city in the U.S. state of Ohio that serves as county seat of Hamilton County. Settled in 1788, the city is located on the north side of the confluence of the Licking with the Ohio River. With a population of 298,800, Cincinnati is the third-largest city in Ohio and the 65th-largest city in the United States. Its metropolitan statistical area is the 28th-largest in the United States and the largest centered in Ohio. The city is also part of the larger Cincinnati–Middletown–Wilmington combined statistical area, which had a population of 2,172,191 in the 2010 census. The volatile social conditions produced white-led riots against blacks in 1829, when many blacks lost their homes and property. As Irish immigrants entered the city in the late 1840s, they competed with blacks at the lower levels of the economy. White-led riots against blacks occurred in 1836, when an abolitionist press was twice destroyed; and in 1842. More than one thousand blacks abandoned the city after the 1829 riots. Blacks in Philadelphia and other major cities raised money to help the refugees recover from the destruction. By 1842 blacks had become better established in the city; they defended their persons and property in the riot, and worked politically as well. Cincinnati's core metro area spans parts of southern Ohio and northern Kentucky. According to the United States Census Bureau, the city has a total area of 79.54 square miles (206.01 km2), of which 77.94 square miles (201.86 km2) are land and 1.60 square miles (4.14 km2) are water. The city spreads over a number of hills, bluffs, and low ridges overlooking the Ohio River in the Bluegrass region of the country. Cincinnati is geographically located within the Midwest and is on the far northern periphery of the Upland South. Two-thirds of the American population live within a one-day drive of the city. The city is undergoing significant changes due to new development and private investment. This includes construction of the long-stalled Banks project, which will include apartments, retail, restaurants, and offices and will stretch from Great American Ball Park to Paul Brown Stadium. Phase 1A is already complete and 100 percent occupied as of early 2013. Smale Riverfront Park is being developed along with The Banks and is Cincinnati's newest park. Fountain Square was renovated in 2006. 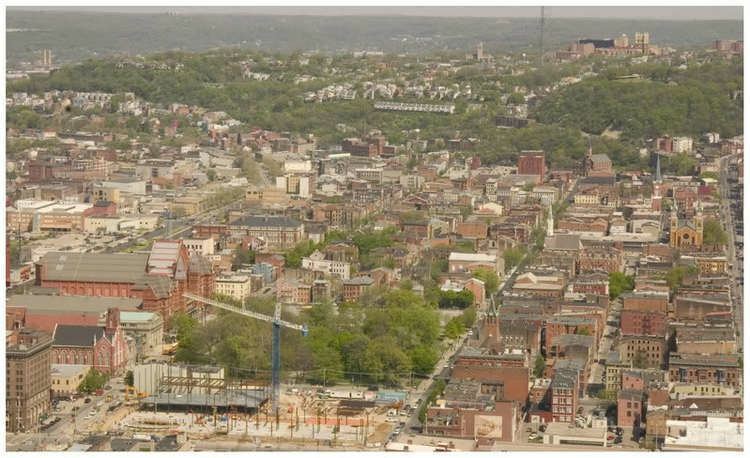 Nearly $3.5 billion has been invested in the urban core of Cincinnati (including Northern Kentucky). Much of this development has been undertaken by 3CDC. A new streetcar system opened in September 2016. More than three decades later, in April 2001, racially charged riots occurred after police fatally shot a young unarmed black man, Timothy Thomas during a foot pursuit to arrest him, mostly for outstanding traffic warrants. After the 2001 riots, the ACLU, Cincinnati Black United Front, city and police union agreed a community-oriented policing strategy. The agreement has been used as a model across the country for building relationships between police and local communities. On July 19, 2015, Samuel DuBose, an unarmed black motorist, was fatally shot by white University of Cincinnati Police Officer, Ray Tensing after a routine traffic stop for a missing front license plate. The resulting legal proceedings in late 2016 have been a recurring focus of national news media. Several peaceful protests involving the Black Lives Matter movement have been carried out. Tensing was indicted on charges of murder and voluntary manslaughter, but a November 2016 trial ended in mistrial after the jury became deadlocked. A retrial began in May 2017, which also ended in mistrial after deadlock. The prosecution then announced they did not plan to try Tensing a third time. The University of Cincinnati has settled with the DuBose family for $4.8 million and free tuition for each of the 12 children. Several Fortune 500 companies are headquartered in Cincinnati, such as Procter & Gamble, The Kroger Company, and Macy's, Inc., among others. General Electric has headquartered both their GE Aviation business and their Global Operations center in Cincinnati. The Kroger Company employs 21,646 people locally, making it the largest employer in the city, and the University of Cincinnati is the second largest at 16,000. 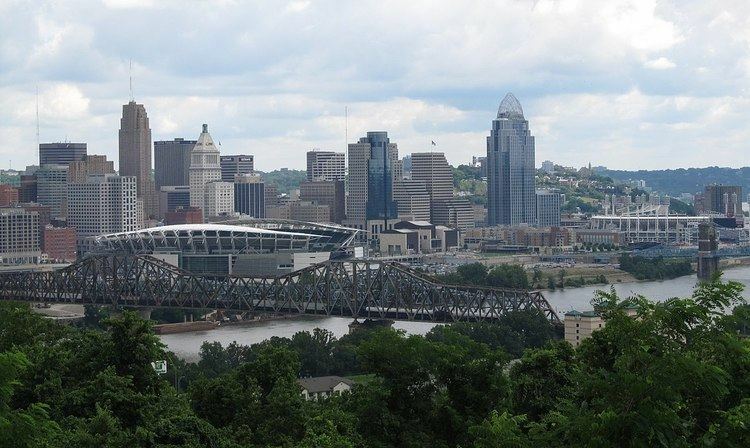 Cincinnati's culture is strongly influenced by its history of German and Irish immigrants and its geographical position on the border of the Southern United States and Midwestern United States. In the mid to late nineteenth century, Cincinnati became a major destination for German and Irish immigrants. In 1830 residents with German roots made up 5% of the population, as many had migrated from Pennsylvania; ten years later this had increased to 30%. Thousands of German immigrants entered the city after the revolutions in the German states in 1848 and by 1900, more than 60 percent of its population was of German background. Cincinnati is noted for two foods common in the area but seldom found outside Greater Cincinnati: Cincinnati chili, and Goetta. Cincinnati hosts a number of large annual events. Oktoberfest Zinzinnati, Bockfest, and the Taste of Cincinnati that feature local restaurateurs. Music-related events include the Cincinnati May Festival, Bunbury Music Festival, and Cincinnati Bell/WEBN Riverfest. The Flying Pig Marathon is an annual event attracting many serious and amateur runners. Tall Stacks, held every three or four years, celebrates the city's riverboat heritage. Cincinnati has two major league teams, eight minor league teams, five college institutions with sports teams, and seven major sports venues. Cincinnati's two major league teams are Major League Baseball's Reds, who were named for America's first professional baseball team, the Cincinnati Red Stockings; and the Bengals of the National Football League. On Major League Baseball Opening Day, Cincinnati has the distinction of holding the "traditional opener" in baseball each year, due to its baseball history. Many children in Cincinnati skip school on Opening Day, which is commonly thought of as a city holiday. The Cincinnati Reds have won five World Series titles and had one of the most successful baseball teams of all time in the early 1970s, known as The Big Red Machine. The Bengals have made two Super Bowl appearances since its founding, in 1981 and 1988, but have yet to win a championship. As of 2016, the Bengals have the longest active playoff win drought (26 years) despite making five straight playoff appearances from 2011 to 2015. Cincinnati is also home to two very successful men's college basketball teams: the Xavier Musketeers and the Cincinnati Bearcats. Annually, the two teams face off in one of the fiercest college basketball rivalries known as the Crosstown Shootout. In 2011, the rivalry game erupted in an on-court brawl at the end of the game that saw multiple suspensions follow. The Musketeers have made 10 of the last 11 NCAA tournaments while the Bearcats have made six consecutive appearances. Previously, the Cincinnati Royals competed in the National Basketball Association from 1957 to 1972. FC Cincinnati is a soccer team that plays in the USL. FC Cincinnati made its home debut on April 9, 2016, before a crowd of more than 14,000 fans. On their next home game vs Louisville City FC, FC Cincinnati broke the all-time USL attendance record with a crowd of 20,497; on May 14, 2016, it broke its own record, bringing in an audience of 23,375 on its 1–0 victory against the Pittsburgh Riverhounds. Cincinnati is home to three other professional soccer teams—two outdoor teams, the Cincinnati Kings (men's) and Cincinnati LadyHawks (women's), and one indoor team, the Cincinnati Excite (men's). In an effort to overturn the charter that provided for proportional representation, opponents in 1957 fanned fears of black political power, at a time of increasing civil rights activism. The PR/STV system had enabled minorities to enter local politics and gain seats on the city council more than they had before, in proportion to their share of the population. This made the government more representative of the residents of the city. Cincinnati also hosts the federal government. The NRHP-listed Potter Stewart United States Courthouse is a federal court, the United States Court of Appeals for the Sixth Circuit. It is one of thirteen United States courts of appeals. Federal Reserve Bank of Cleveland Cincinnati Branch is located across the street from the East Fourth Street Historic District. The Cincinnati area has one of the highest private school attendance rates in the United States; Hamilton County ranks second to St. Louis County, Missouri among the country's 100 largest counties. Cincinnati is home to the University of Cincinnati and Xavier University. The University of Cincinnati, often referred to as "UC", is one of the United States' major graduate research institutions in engineering, music, nursing, architecture, classical archaeology, and psychology. The University of Cincinnati Medical Center is highly regarded, as well as the College of Nursing, and College Conservatory of Music, which has many notable alumni, including Kathleen Battle, Al Hirt and Faith Prince. 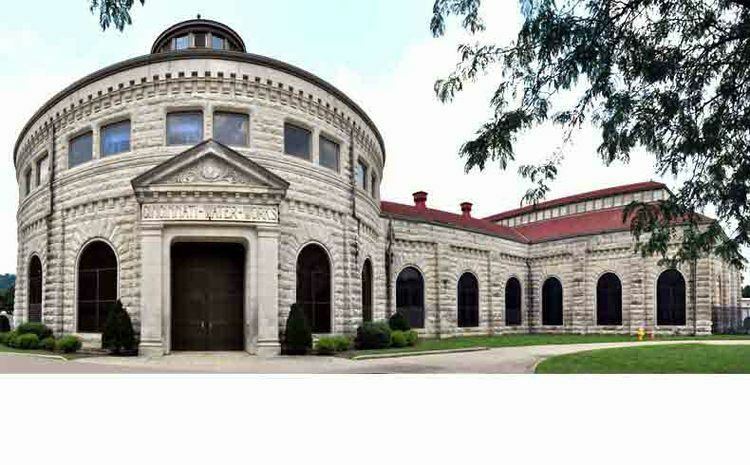 Xavier University, a Jesuit university, was at one time affiliated with The Athenaeum of Ohio, the seminary of the Cincinnati Archdiocese. Cincinnati has given rise or been home to popular musicians and singers Lonnie Mack, Doris Day, Dinah Shore, Fats Waller, Rosemary Clooney, Bootsy Collins, The Isley Brothers, Merle Travis, Hank Ballard, Otis Williams, Mood, Midnight Star, Calloway, The Afghan Whigs, Over the Rhine, Blessid Union of Souls, Freddie Meyer, 98 Degrees, The Greenhornes, The Deele, Enduser, Heartless Bastards, The Dopamines, Adrian Belew, The National, Foxy Shazam, Why?, Wussy, H-Bomb Ferguson and Walk the Moon, and alternative hip hop producer Hi-Tek calls the Greater Cincinnati region home. Andy Biersack, the lead vocalist for the rock band Black Veil Brides, was born in Cincinnati. 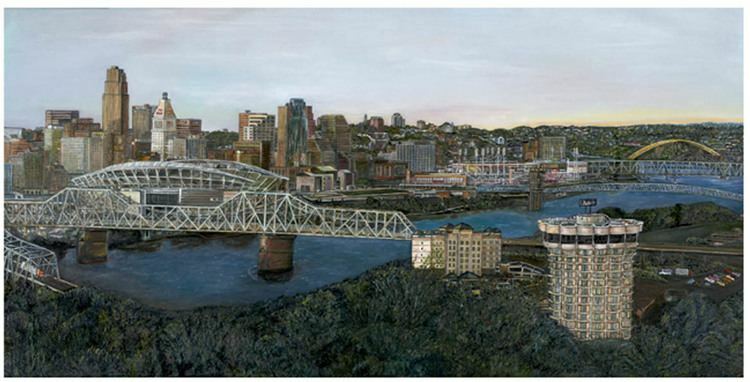 Cincinnati, being a river town, has had a vibrant jazz scene from the 1920s to today. Louis Armstrong's first recordings were done in the Cincinnati area, at Gennett Records, as were Jelly Roll Morton's, Hoagy Carmichael's, and Bix Beiderbecke, who took up residency in Cincinnati for a time. Fats Waller was on staff at WLW in the 1930s. The city is served by Cincinnati/Northern Kentucky International Airport (IATA: CVG) which is actually located in Hebron, Kentucky. The airport is a hub for major passenger airline Delta Air Lines, as well as a focus city for low cost carriers Allegiant Air and Frontier Airlines. In addition, the airport is the largest global hub for both Amazon Prime Air and DHL Aviation. Cincinnati Municipal Lunken Airport (IATA: LUK), has daily service on commercial charter flights, and is located in Ohio. The airport serves as hub for Ultimate Air Shuttle and Flamingo Air.